TK-421 Why Aren't You At Your Post? Sometimes things can get a little tense and rocky when you’re a Sith Lord fighting an intergalactic war. 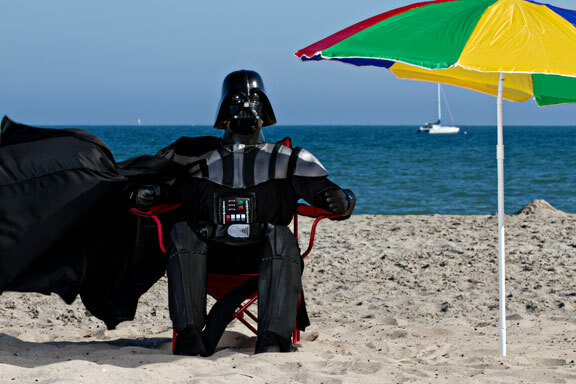 And sometimes even Darth Vader needs some alone time in the sun. 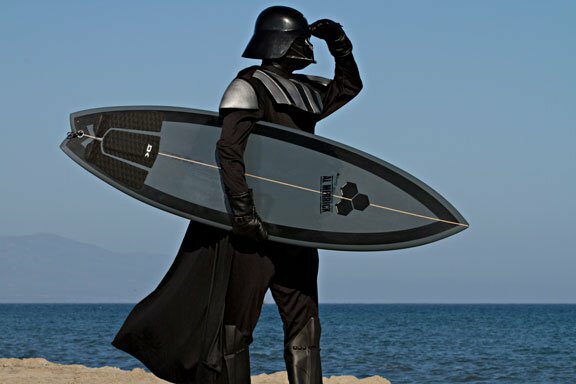 Photographer Nick Presniakov wondered what this might look like, so let’s take a look at Vader on Vacay. 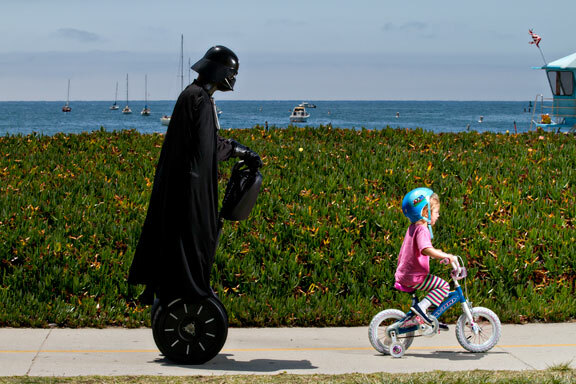 As soon as Supernatural was over, Darth Vader knew it was time to break the monotony of everyday life. Would today be like yesterday? Would tomorrow? No, he promised himself. No, it would not. He checked the train schedule, picked a destination, and headed out. 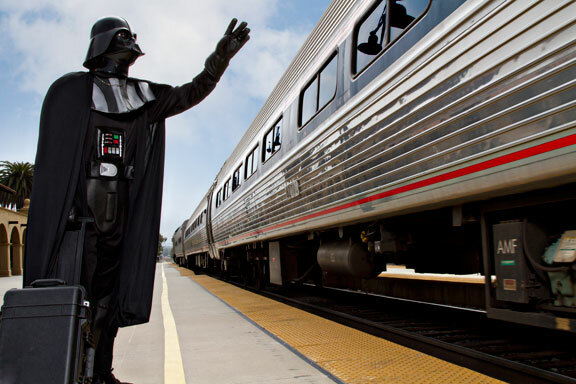 If the conductor gave him any trouble over peak vs. off-peak fares, Vader thought, then he’d just better consider the consequences. Vader arrives. He surveys the glorious surf, gazes into the surprisingly pleasant blue sky, and hands his rested soul over to the ocean. 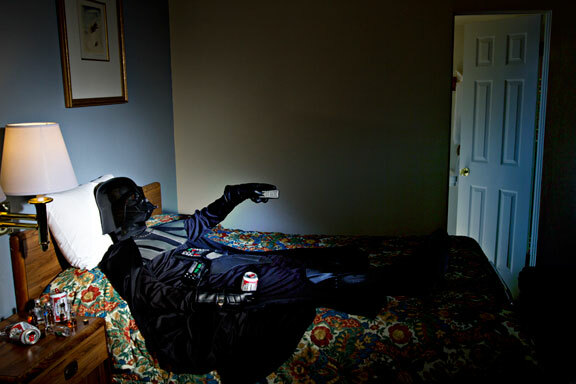 The day ends, and Vader contemplates the tranquility of the day. The seagulls fly overhead, their faint and fading squawks disappear into the air. He takes a deep breath. It is loud, but devoid of stress. Vader is pleased. But alas, he must return to the business of war. And workaholic that he is, he begins going over maps and schematics and murder in his newly emptied brain … Ah, yes. He might just have fun with it this time.